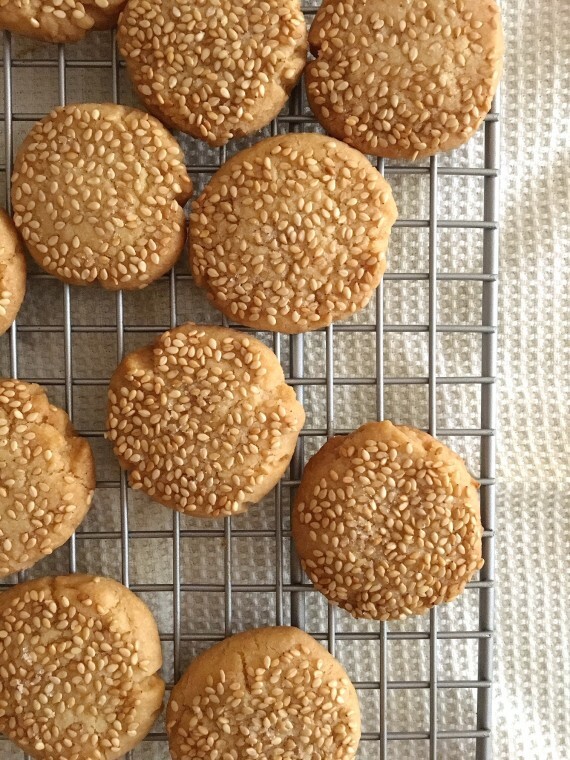 A few weeks ago I made killer tahini cookies; these are not them. 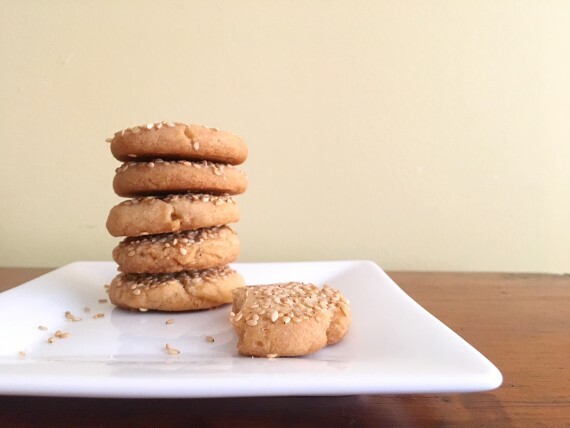 This is what happened: When I made the cookies a few weeks ago, I didn’t print out or bookmark the recipe, so when I wanted to make them again, I looked through my browser history & searched all sorts of keyword combinations, but didn’t come up with the ones I was looking for. But, I did find this recipe which while it wasn’t what I was looking for, looked good enough to try. So I did; this is them. 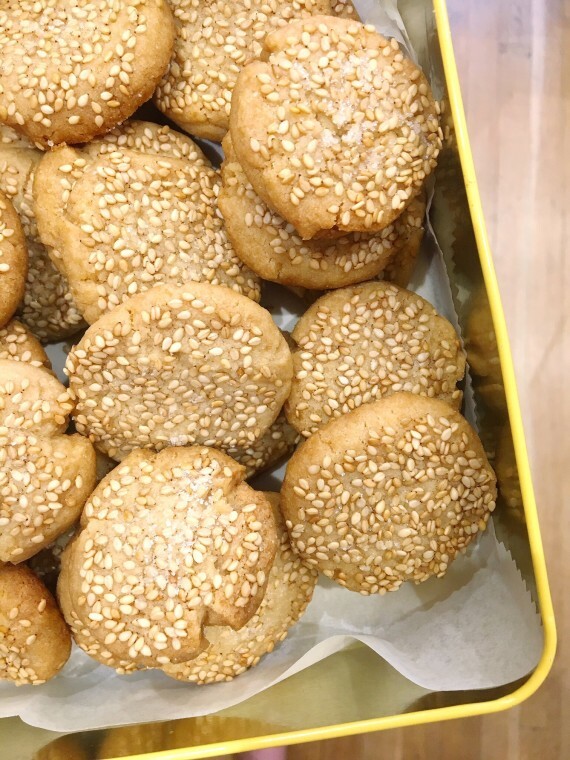 It was only when these cookies were in the oven that I realized what happened: The first cookies were HALVA cookies, and I was searching under tahini — d’oh! These are those cookies, which I am definitely going to make again STAT. The recipe used butter, but since I’m serving these after a Rosh Hashanah (meat) meal, I adapted by using Earth Balance vegan butter. After cooled, these can be frozen in a tin/container for up to a few months. Sweet Challah for a Sweet New Year!